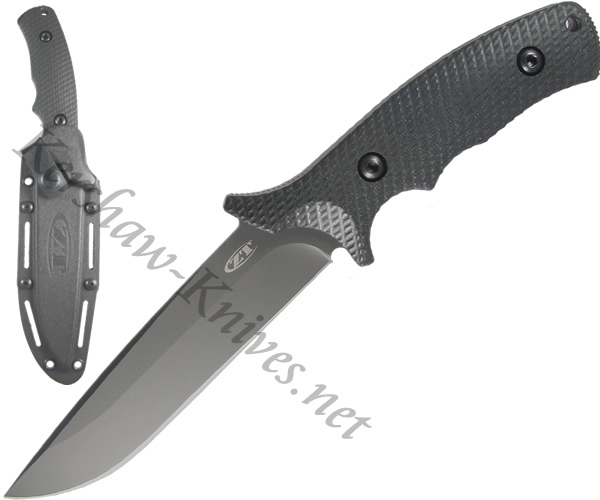 This Kershaw Zero Tolerance Combat Knife 0170 has a 5.7 inch fixed blade. A Tungsten DLC coating has been applied over the durable 14C28N steel to give it a tactical non-reflective quality. The handle of the 0170 is matte black G10 that has been 3D machined to provide a superior gripping surface. The overall length is 11.5 inches, and it weighs in at 11 ounces. A Kydex sheath is included with the 0170.